When you think of Maine, you probably picture a rocky coast littered with lobster boats, lighthouses, iconic sunsets, and cool shadow driven paths between tall, aged pines. York, Maine is all of these things and so much more. Travelers of all ages, from near and far come on a daily basis to enjoy sightseeing, endless outdoor activities, shopping, the arts and tons of amazing dining options. 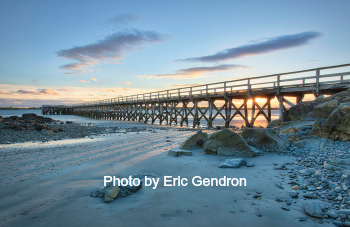 If you only have four days to relax and unwind in York here is a fun-filled itinerary to hit the top Maine points of interest. Set off on foot for a walk: Bold Ocean Views, Summer Mansions and Panoramic Views of the harbor. The 2.6 mile loop starts at the Dockside and takes you along the York River to York Harbor Beach and the Cliff Walk. This will give you a sense of your ideal location for the next few days. As you walk plan your next stop at one of several beaches: Harbor Beach, Long Sands or Short Sands. After you return home from the beach get ready to explore. A short drive along the water will wrap you right up to the Cape Light Station (aka Nubble Light). Sweeping panoramic views of the lighthouse, coastline and the ocean. Don’t be afraid to stop at one of the many ice cream shops along the way, it is a vacation after all! Head home and bask in the quiet on your private deck before cleaning up. 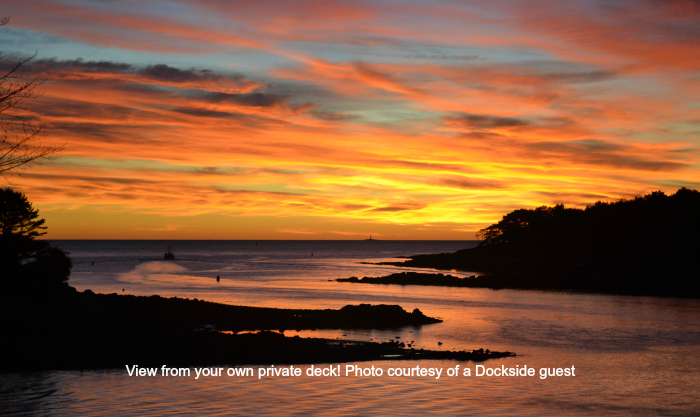 Then walk to dinner at the best York Maine restaurant located right on our property, the Dockside Restaurant. Incredible food and views will cap off your first day in Maine perfectly. Few things compare with the thrill of seeing a whale in its natural environment. Whether you are coming to or leaving from Dockside Guest Quarters, plan to stop at the special coastal towns located along the way. First Chance Whale Watching: Located in Kennebunk, Maine. Kennebunk is famous for their presidential visits, but to locals and many others, it is the quintessential Maine town. Local stores line the coast with restaurants every few steps. Turn a corner and end up at Ship Yard Brewing to enjoy a favorite brew and pub bites all with an incredible view. Granite State Whale Watching: Located in Rye, NH. Rye is a hip beach community next to Portsmouth, NH. You can stop at any of the fried food stands along the way to fill your hunger or wait till you get back into downtown Portsmouth where you can enjoy eating at a local brewery, high-end cuisine and/or everything in-between! With specialty shops down every road to keep you exploring for days. Have a hearty breakfast with us in the Maine House. A “continental-plus” breakfast buffet is included with your room. Enjoy a daily egg selection, breakfast-style meat, freshly baked cinnamon rolls, cheese danish and much more. Then you are ready to set out for your day’s adventure. Two Lights State Park: A 41-acre oceanfront park that offers twin lighthouses, shoreline trails & scenic views amid a rocky coast. Look for the popular lobster roll food truck. If it isn’t there the Lobster Shack is close by – Perched above the rocks, this lobster-&-fried-seafood spot has commanding ocean & lighthouse views. Fort William Park: Sweeping views of Casco Bay and the Atlantic Ocean, free parking with a rocky shoreline, old military bunkers, big playing fields and Portland Head Light. Finish the day by stopping by Portland’s Old Port. Portland’s Old Port is a revitalized warehouse district. It seamlessly connects to the waterfront and is both a working waterfront and a local shopping, dining, residential, and entertainment district, perfect for exploring. From The Dockside take the back roads to Kittery, Maine. First, stop by Fort Foster, it is located on Gerrish Island in Kittery Point. Fort Foster offers three small but sandy beaches, trails to hike, picnic areas, and old military fortifications to investigate. Continue south on 103 to downtown Kittery, a small downtown with artesian boutiques and an array of eateries. If you have a sweet tooth Lils coffee shop is famous for their incredible crullers. Less than 1 mile is the Memorial Bridge to downtown Portsmouth where you can hop on a Portsmouth Harbor Cruise or head out to the Isles of Shoals with the Isles of Shoals Steamship Company. 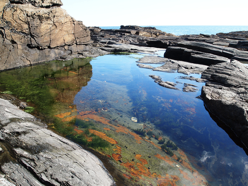 Book your stay at our waterfront inn in Maine and get ready for an amazing adventure!